FORT LEE, N.J. – What authorities at first expected to be a local prosecution officially became a federal case when the FBI charged a serial bank robber from the Bronx with holding up TD Banks in Fort Lee and Hasbrouck Heights. A U.S. District Court judge in Newark on Tuesday ordered that Eddy Cruz, 41, remain in federal custody in New Jersey pending further action. Cruz is also charged with a bank robbery in Scarsdale, N.Y. There was no word Tuesday on how or when that prosecution could proceed following his brief initial appearance in federal court. Cruz was about to hit an Englewood bank on Feb. 24 when a team of investigators moved in and arrested him without incident, multiple sources told Daily Voice. 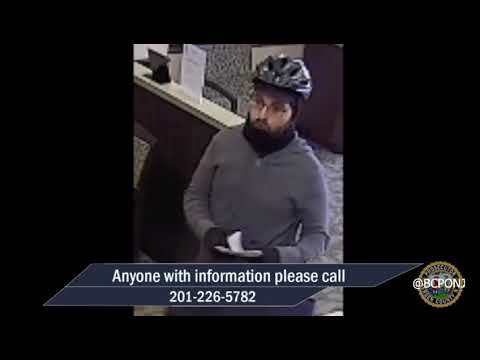 The recent series of bank robberies began just after noon Feb. 10 at a TD branch on Central Park Avenue in Scarsdale, authorities said. Cruz passed a note demanding money and fled with an undisclosed amount of cash, authorities said. Five days later, Cruz entered a TD Bank in Hasbrouck Heights wearing a similar disguise. Once again, he gave the teller a demand note and fled with cash. On Feb. 24, a team of officers from various agencies tracked Cruz’s car, which was spotted at one of the earlier holdups, to a Manhattan location, U.S. Attorney Paul J. Fishman said. Later that day, they followed him to Englewood.They then moved in as Cruz parked his red 2017 Mitsubishi Mirage near the Demarest Avenue TD Bank just before noon. He wearing the same disguise again, Fishman said. In Cruz’s car, agents found latex gloves, a scarf, sunglasses, and the tight-fitting mask – along with a handwritten note demanding money, the attorney general said. Cruz was eventually taken to Bergen Regional Medical Center for a medical screening before being committed to the Bergen County Jail pending Tuesday’s court appearance. The Mitsubishi was impounded. Fishman credited the FBI offices in New Jersey and New York; the Bergen County Prosecutor’s Office; and police departments in Fort Lee, Hasbrouck Heights, Paramus, and Roxbury, as well as those in Greenburg, Mount Pleasant and Yonkers, N.Y., and the NYPD – who all participated in the Robbery Task Force that took down Cruz. Cruz was charged a little over two years ago with robbing PNC Bank branches in Englewood Cliffs, Northvale and Mount Kisco, as well as in Jackson Township in Ocean County.